This is a meal that we have not had in a long time and one that always goes down well. I will serve the keema with curried mash. Wednesday is another busy evening thanks to cadets so another easy meal is needed. 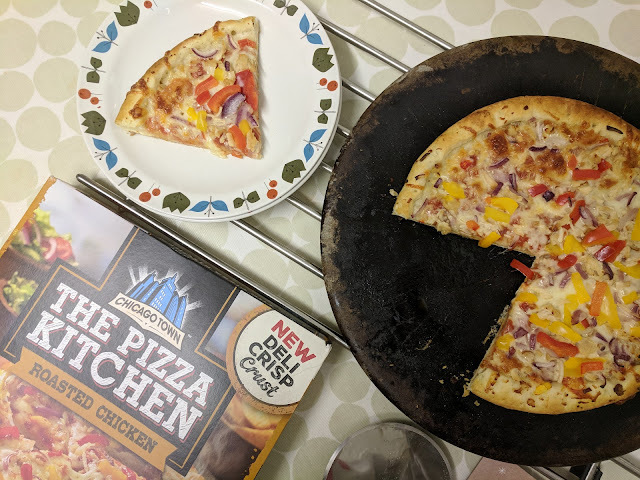 I have been asked to try Chicago Town's The Pizza Kitchen range. We have already tried one and loved the deli crisp crust! On Wednesday I will be preparing us a feast of pizza and bolognese pasta. On Thursday we get our weekly shopping delivered so need a quick meal. This week I will be cooking some sweet chilli prawns which I will serve with stir fried vegetables and noodles. By Friday I will be well and truly ready for a treat and I have also got a £5 off voucher for Marks and Spencer's! As for the weekend, at the moment I simply do not have a clue! 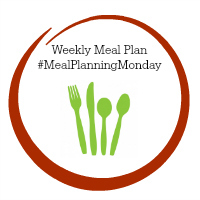 Believe me it took me a long time to plan these five days of meals! What have you got planned this week? How do you manage all of the jobs life throws at you? Please tell me that I am not the only one who feels like there are not enough hours in the day!! The weekends do seem to be flying over lately! They need to slow down a little. That pizza looks so good! I think we will need to be giving that a try. I can't believe how quickly the time is going at the moment. Only 2 weeks until Christmas! We are having a pretty easy week too, enjoy your treat in Friday we had a lovely M&S pizza last week, yum!